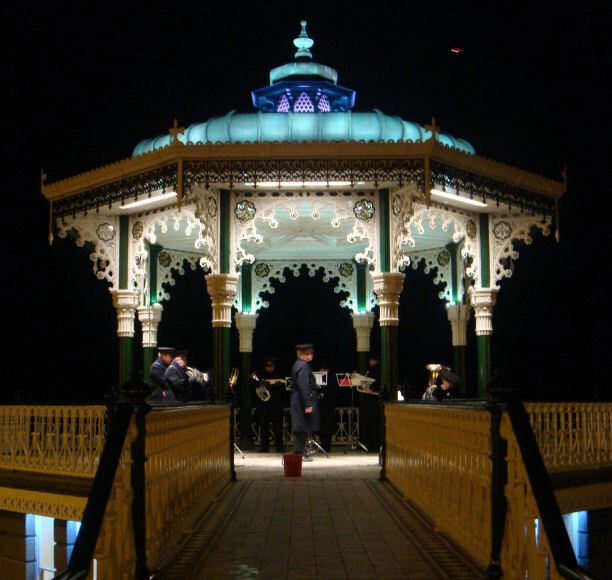 Brighton ’s historic seafront bandstand will be holding an open-air carol concert on Saturday December 17 from 3pm to 5pm. The Salvation Army Band will be playing a mix of Christmas carols and festive music at the free event, which has been organised by Brighton & Hove City Council. Restoration of the Grade II listed bandstand was completed by the council in 2009 and since then it has become an increasingly popular venue for a variety of events, from weddings and civil partnerships to concerts, poetry readings and dance sessions. The carol concert was held for the first time last year and, due to its popularity, looks set to become an annual event.